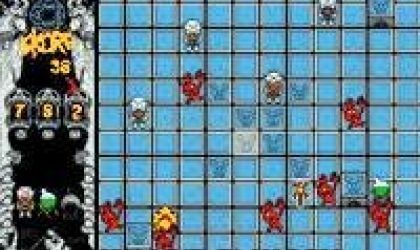 Daibolika - The devils game is a puzzle game where you have to kill demons that keep appearing on your screen. You do this by placing tiles on a chessboard like playing area. These tiles do different things, for example cross imps cause explosions in the blocks diagonally next to them and exploders cause explosions all around them. 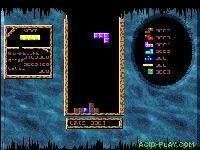 In each turn a number of demons will appear and you are able to place a certain number of tiles, once you have placed all your tiles you will then be given a chance to detonate them and because you only have a limited number of detonations per turn you have to make sure that some of your tiles detonate other tiles, killing more than one demon per detonation. A great puzzle game, well worth the download.